We drifted from our “empire state of mind” and shifted gears to reach our final destination: Boston, Massachusetts. With not such a long drive ahead of us, we decided to check out what Rhode Island had to offer. Rhode Island might be the smallest state in the country but it definitely produces some great people. Fortunately, for us two of our road team interns are Rhode Island natives. Jason Rosa was an online intern and was able to raise over $3000 for local girls in foster care to receive their own guitars and also gave them lessons! Jason went above and beyond the internship so we asked him to join us for the summer tour. We are so lucky we did cause not only was Jason a hard work but his mom makes awesome home made cookies and cake! Jason’s family invited us over and stuffed us to the brim with tasty sweet treats. We also have a veteran intern, Rachel, who has been with us for over 3 years! She decided she wanted to move back home so she road tripped it back with us and helped with the tour. She may have lost her wallet along the way but the memories we have with her will be forever. Rachel’s family also gave us a home to sleep in for two nights with homemade cooking and ‘dough boys’. With our bellies full we rested up and got ready for our last stop. It was our last morning getting up dawn to drive to our venue and set up our pop up shop. We all felt somberness enter our hearts as we realized this would be our last event. This feeling didn’t last long until we reached our destination and there was already a long line of boys waiting for us. So we turned up the music and set up in record time. 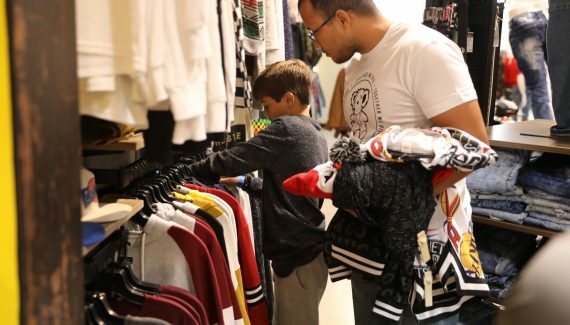 The shopping began and the boys were super happy to see the selection of clothes we had. Thanks our friends at Kombu Kitchen for catering the event and supplying the kids with a delicious healthy lunch! We had a large turn out with over 50 Boston teens in foster care attending. 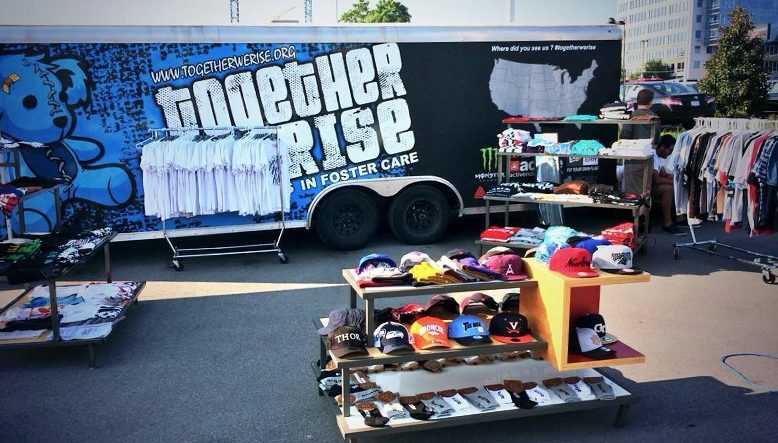 A special thanks to the Croc Salvation Army Community Center for letting us host our event in their parking lot. As the Boston event finished up, we packed up our trailer. Our team looked into the half empty trailer that used to be so full we had to push and run to close the door; we felt sad the tour was finally coming to an end. We had so many great experiences and meet so many amazing people. It was definitely a life changing experience for everyone involved. We would like to thank everyone who supported us the whole way and followed us through our journey. We can’t do what we do without people who believe in our cause and encourage us to continue. Of course, none of this would have been possible without our WONDERFUL sponsors! Thank you to Active, Toyota, Monster, Pretzel Crisps, Hubert’s Lemonade, Jockey, New Era, Ambig, Negative Space Clothing, CottonOn, and Volcom. We’re on our way home to recover from driving, eating greasy food, and not sleeping, but we’re already planning for next year. Until then, it’s been real Los Angeles, Las Vegas, Phoenix, El Paso, Dallas, Nashville, Indianapolis, Chicago, Detroit, Columbus, Philadelphia, New York, and Boston. We love you all! 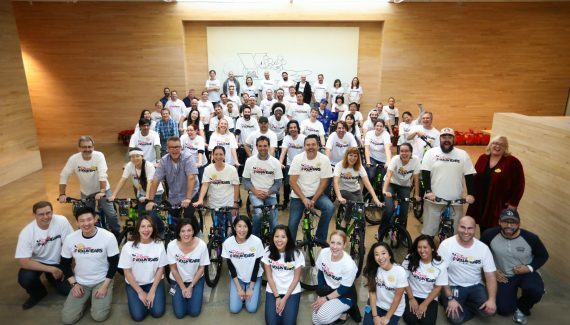 Build a Bike Corporate Service Project with Disney VoluntEARS!